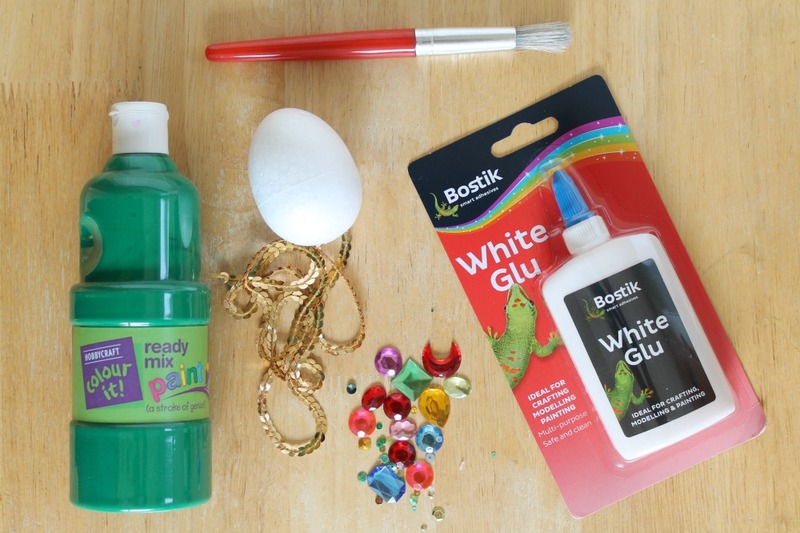 This month's Bostik Blogger craft box has a dragon theme to it. I wracked my brains thinking of a craft idea that was fun but simple enough for my three- and one-year olds to get involved with. What could be easier than a bejeweled dragon's egg! Little N has been really poorly this week, we've been back and forth to the GP and even up to see the paediatrics team at the hospital. He's been off preschool all week and missed his swimming lesson, and we've just been at home. This simple dragon craft activity cheered him right up. 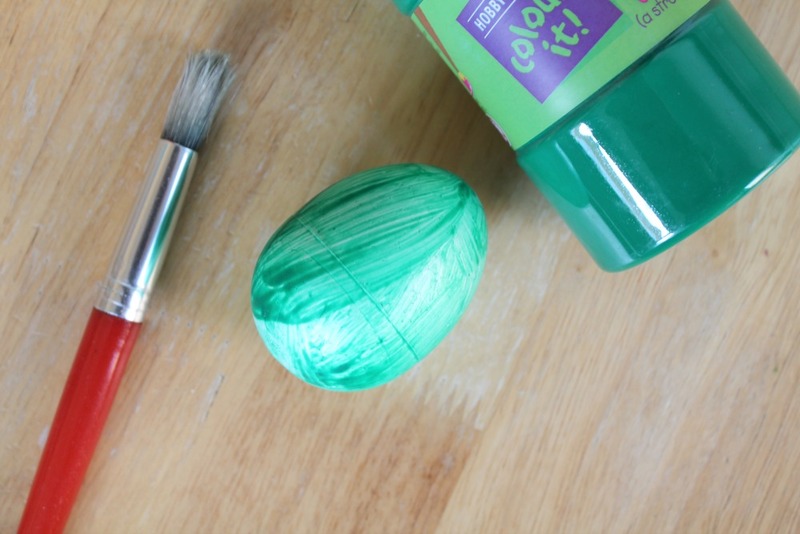 - Paint the polystyrene egg with green paint and allow to dry. The polystyrene makes a cool dragonskin look on the egg! 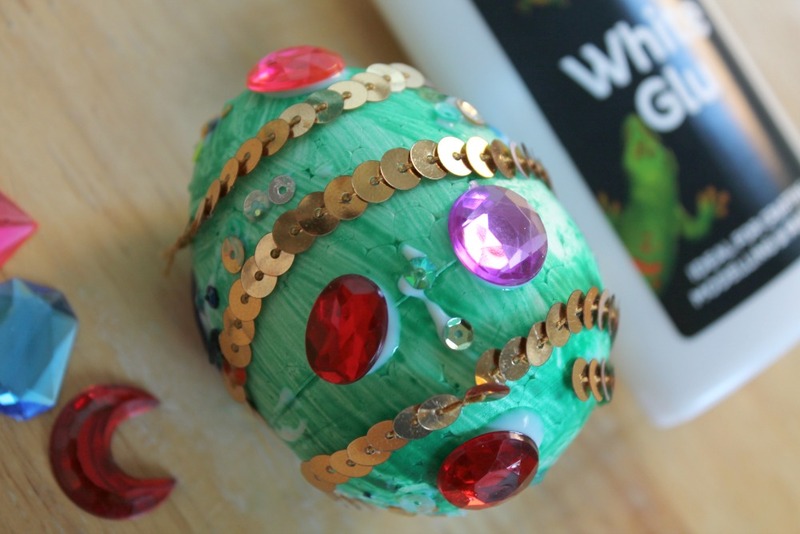 - Once the paint has dried, use the Bostik White Glu to stick the sequins and jewels to the egg and allow to dry. 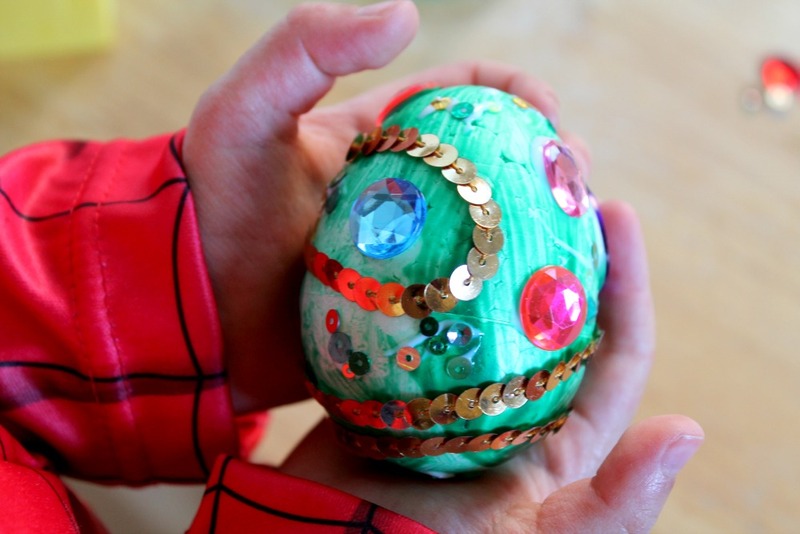 - Once the glue has dried, the egg is ready to be hidden for your brave princes and princesses to hunt! What other dragon-themed craft activities should we try? Let me know in the comments below!